Every late summer, I go down to a friend’s farm in Southern Oregon to help harvest and preserve the hot peppers they grow there. We smoke the jalapenos in a homemade smoker, then preserve them in jars in an AMAZING adobo sauce that we prepare from scratch. The result is a flavor profile that can transport you to a summer night barbeque even in the dead of winter: rich, hot, and smoky with hints of balancing sweetness. Happily, that same hot, savory, and slightly sweet flavor can be achieved without having to spend all day roasting peppers. By blending the right spices, you can make an adobo blend that packs all the mouth-watering complexity of the smoker into an easy-to-store jar! 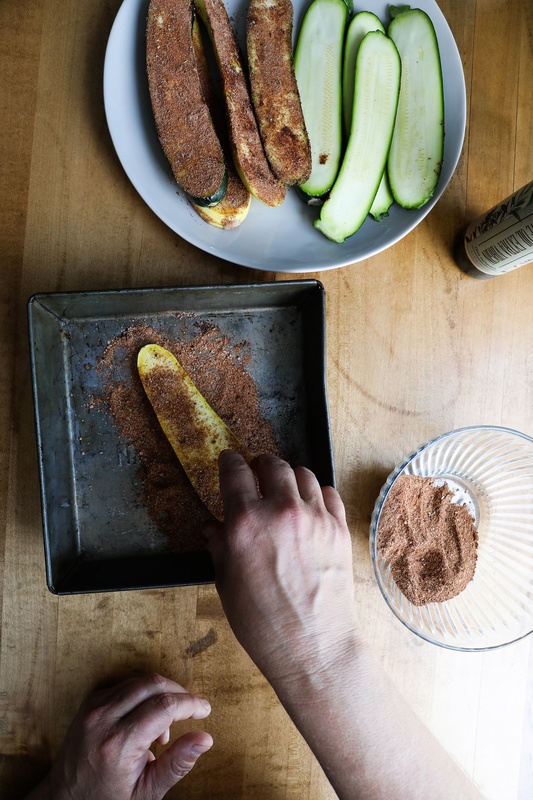 This warming and delicious spice mix can be sprinkled on lots of dishes as a finish seasoning, but it makes an especially FABULOUS grill rub, perfect for all manner of dry-roasted or grilled foods. The rich and smoky flavors are reminiscent of Mexico and go very well on proteins or vegetables that are slow-cooked for use in tacos or tamales. 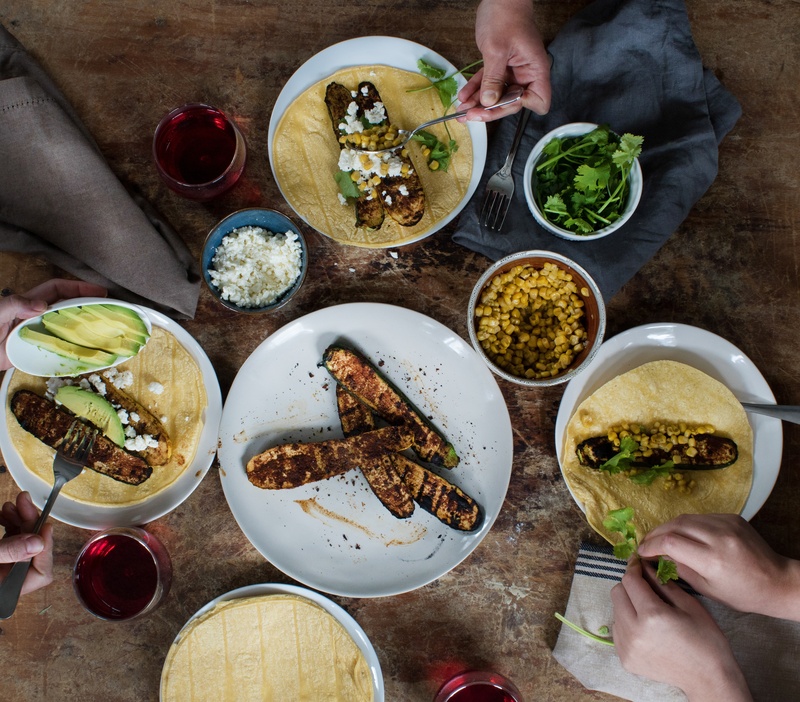 One of my favorite dishes of this kind is a simple and crowd-pleasing grilled zucchini and yellow-squash wrap—thick slices of zucchini or yellow summer squash dipped in this rub, then grilled and wrapped in warm corn tortillas with a crumble of a salty white cheese like feta or Cotija. Serve with warm tortillas and sour cream! Serves 4 (and you’ll have extra spice rub for later use). 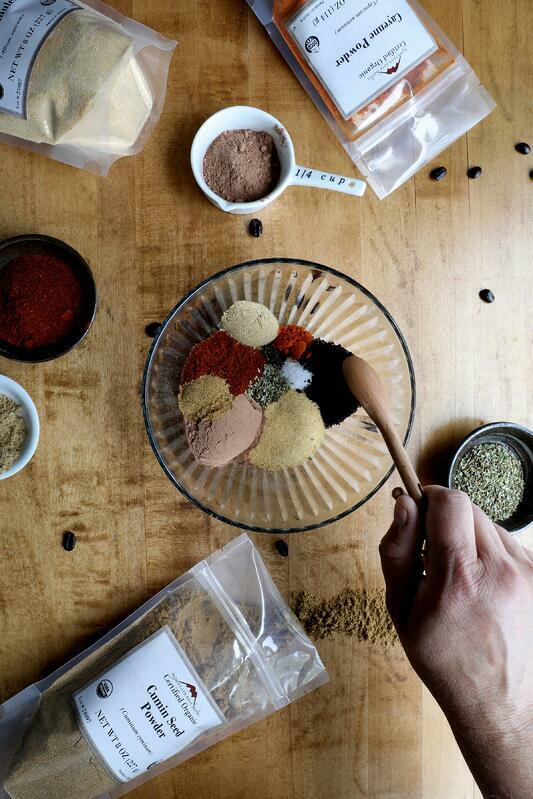 Mix all spices together to create adobo grill blend. Scoop 2 to 3 tablespoons into a wide, flat dish. Transfer remainder into a dry, airtight storage jar and set aside. 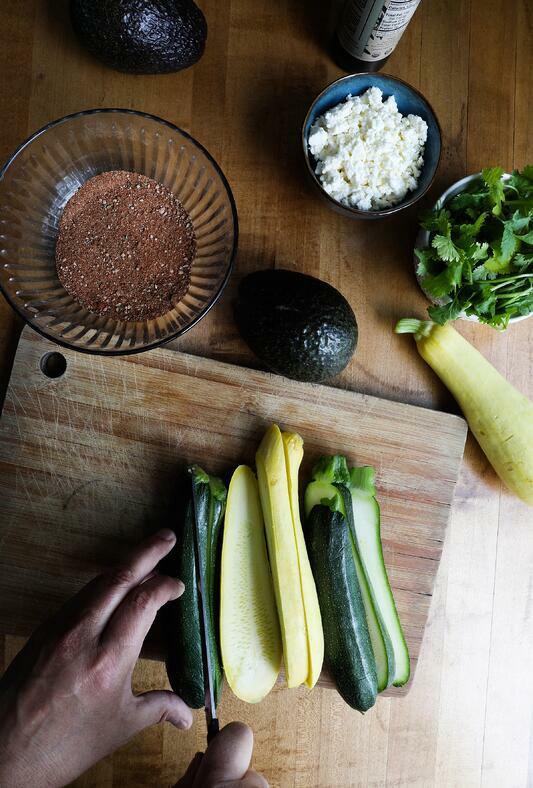 Cut the zucchini and summer squash into long strips about ¼- to ½-inch thick. Brush zucchini and squash with olive oil, and let marinate for at least 2 hours. Roll marinated strips in dish of adobo spice until lightly coated. Grill strips over medium heat for 3 to 4 minutes per side. Place a few strips into each warm tortilla, and dress with cheese, corn, avocado, sour cream, cilantro, or other toppings to taste. Enjoy! Looking for more Grilling Goodness? 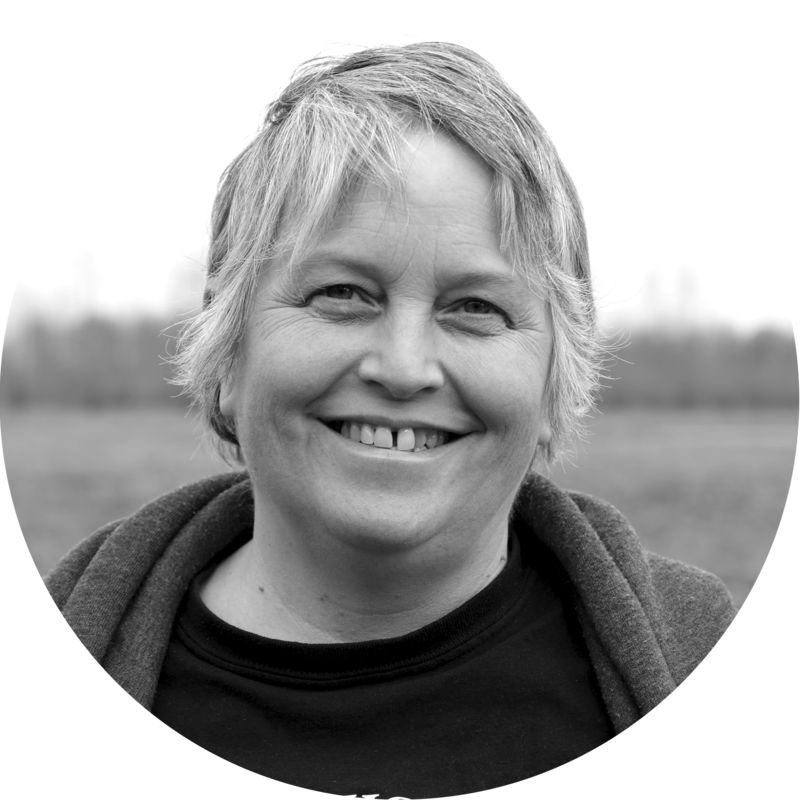 Shelley works in the Purchasing Department, helping to make sure our customers have access to the freshest ingredients for their DIY projects. 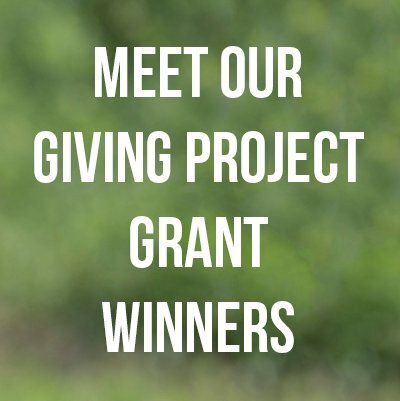 While off the clock, she enjoys growing fresh veggies and flowers, experimental cooking, social and environmental activism, and escaping to the woods or coast with her wolfie dog-beast.